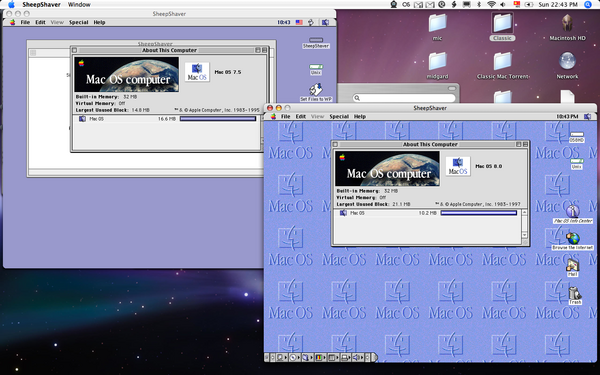 Mac OS 7.5 and Mac OS 8 running at the same time with OSX thanks to Sheepshaver. Continue reading Mac OS 7.5 and Mac OS 8. This page is a archive of recent entries in the OS category. movie is the previous category.